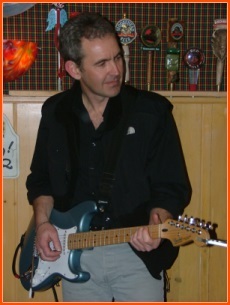 Steve Smith is great guitarist who has been my friend for close to 10 years. I came to know him and his wife, Samantha Beattie when I started working with their son Morgan Smith on guitar. We have had Steve and Morgan in for computer recording workshops and other recording sessions. This is one session Steve did as a demo for some gigs. Look forward to having him back at Jimmero.